Pentadimensional Games has announced that Megaton Rainfall will release on Nintendo Switch, a first-person superhero game where you become a supersonic indestructible interdimensional superbeing. You must use your immense destructive power and supersonic flying capabilities to save Earth from an alien invasion. But you must be careful, as you can bring down entire skyscrapers if you miss your extraterrestrial targets. That will see you fly around a real-size-Earth, with the freedom to fly out of the atmosphere, the solar system or even the Milky Way in less than one minute from any location. With a “highly adaptive soundtrack” that reacts to the action, the game uses procedural real-time exploding, slicing and collapsing of buildings – built with a universe-scale rendering engine that will interesting to see how it holds up on the portable home console. 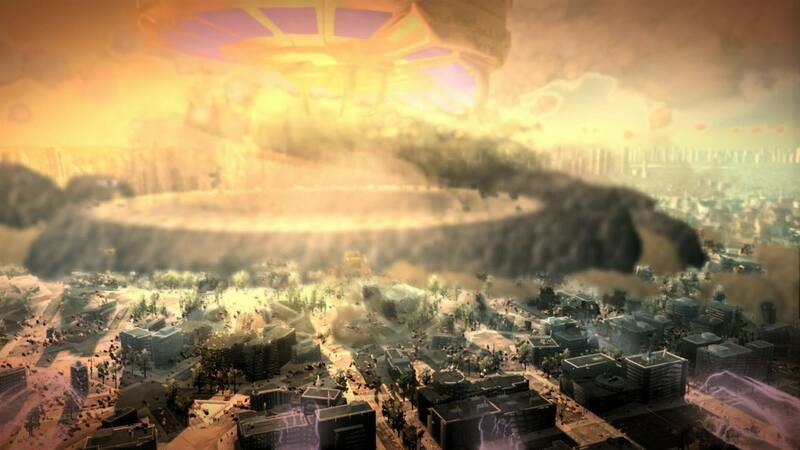 Megaton Rainfall will release on the Nintendo eShop for Nintendo Switch worldwide on August 9th.